Howdy folks! 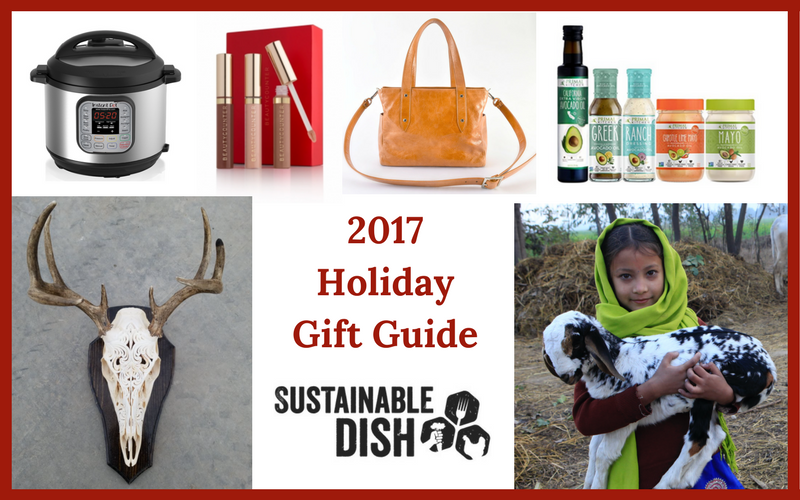 It’s time again for my round up of great gift ideas for the 2017 holiday season. I’ve got everything from books to art, experiences and awesome organizations to donate to. If you or your loved ones don’t already have an Instant Pot then I think you can disregard the entire rest of this post. I know you probably think it will collect dust just like your juicer or old bread machine, but you’re wrong! I am a busy mom who likes to feed my family well, and this sucker has changed my life. I use it several times a week. If you need some new recipe inspiration, my top cookbook pick is Nom Nom Paleo’s “Ready or Not.” It actually follows the same theme as the Instant Pot: how to eat well without spending hours in the kitchen. And coincidentally, she’s the one who bought me my Instant Pot because she insisted I try it and I was hessitant. Michelle Tam is one of my favorite people in the whole wide world. She’s not only one of my best friends, but I consider her a brilliant creator. Her recipes WORK. There’s just enough on the ingredient list to make it interesting without being fussy. My advice when it comes to her is that if the photo of the finished dish looks remotely appealing to you, then make it because you’ll love it. 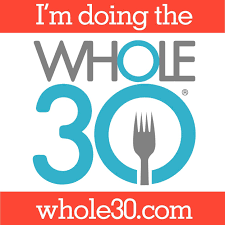 If you have someone on your list looking to change their life in the New Year, please consider The Whole30, Whole30 Cookbook, Whole30 Fast & Easy, the brand new Whole30 Day by Day. I’m a big fan of this diet as a great tool to change your relationship with food. One of the great things is that there are now tons of convenience foods that are approved. When I first gave up bad oils like canola, I found myself eating less salad because subconsciously, making the dressing was a barrier. I just prefer to have a tasty dressing at my fingertips, ready to go. I’ll simply eat more salad this way. The same goes for good mayo. That’s why I love the Primal Kitchen Whole30 Kit complete with an assortment of my favorite dressings and mayo. 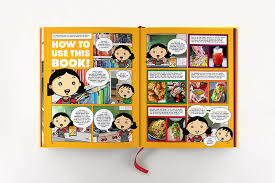 It’s a great gift to go along with any of their books! PS, I’m not only a dietitian, but also a Certified Whole30 Coach, so keep that in mind as the New Year rolls around. I’ll be doing workshops and one-on-one consults and insurance usually covers it, especially if you’re local! For the science lover on your list, the gigantic (I believe it’s about six pounds) book, Paleo Principles by Sarah Ballentyne is sure to keep them fascinated for a long time. Other new books from the paleo world include Unconventional Medicine: Join the Revolution to Reinvent Healthcare, Reverse Chronic Disease, and Create a Practice You Love by Chris Kresser, who I highly admire and am excited to dig into his latest work. There’s also the The Keto Reset Diet by Mark Sisson that we discussed on my podcast. The keto diet is hot right now and Mark has a very sensible approach to it. Of course, if you’re a fan of mine, I have to give my Homegrown Paleo Cookbook and Paleo Lunches and Breakfasts on the Go a plug. 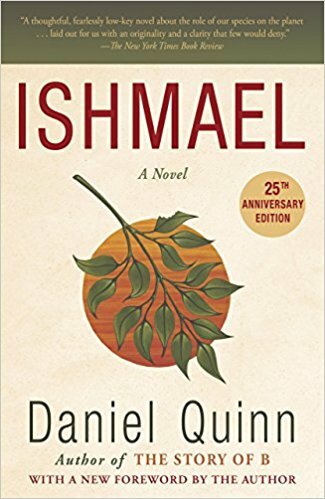 And if you or your friends like some of the writing I do on sustainability, Daniel Quinn’s Ishmael, My Ishmael, The Story of B are a must read. Get the whole trilogy, because they build on each other. I’m a little embarrassed I hadn’t read them earlier. They’re similar to books like Hermann Hesse’s Siddhartha in that they really challenge your worldview. There’s even a “Friends of Ishmael” website for those whose minds have been blown by these books and need to talk about it with others. I really feel like there are folks who “get it” and those who don’t. I prefer the ones who do. You’ll know what I mean when you finish these! You’re welcome. Ok, moving on from super deep thought to superficial beauty, there are a few great gifts sets from Beautycounter that I’m going to be giving to myself this year. I love this company because of their cleaner ingredients and ethics. My first pick is the Nudes Lip Gloss Trio in warm shades with a peppermint flavor. Never feels sticky. The Multi-Mask Set is great for dry winter skin, and seriously – who doesn’t love how their skin feels after a good mask? The set also includes a mask brush and is packaged in a lovely festive tin. My third pick for a holiday beauty gift is the Brightening Skin Set sure to boost radiance and put a huge smile on whoever receives is. I use their products and particularly love the lip gloss, masks and the facial oil. My skin has never been better! 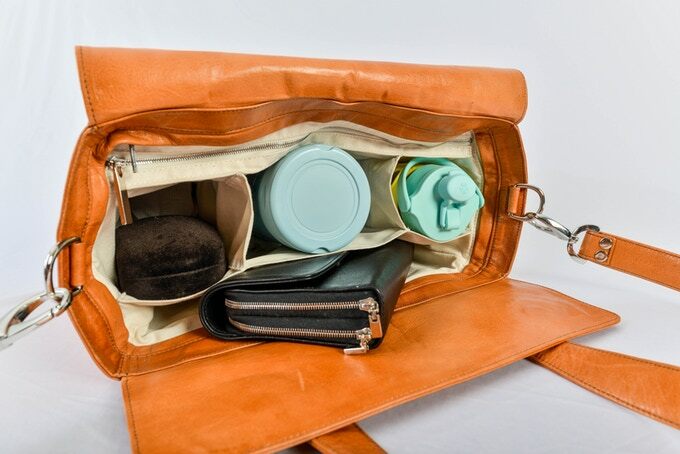 My next pick are these amazing leather bags from Farrier Leather, a company using hides from grass-fed, humanely-raised cattle. I recently wrote a long post about why I love them so much. These guys are doing it right: making high-quality, long lasting products that are beautiful AND functional out of regenerative materials with ethical labor practices. What could be better? Those bags you see at the mall don’t even hit one of these categories. Let’s stop buying junk and invest in the folks doing it right: support their kickstarter today! I found Rachael Lee on Instagram. 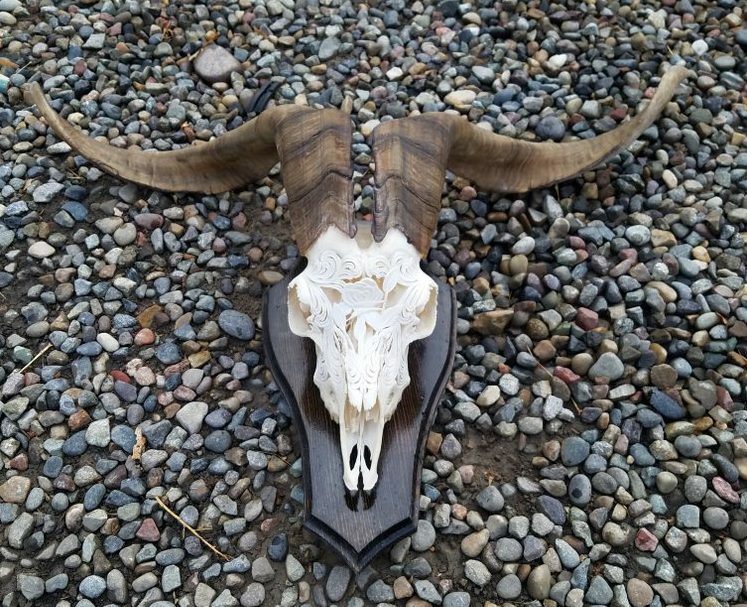 She transforms animal skulls into intricate works of art. I really want one… ahem, Dad, you reading this? This one is my favorite and I know just where I’d put it! I’m not sure how many hours it takes her, but as someone who has carved wood and other materials, I can tell you that this is not easy and she is amazing. I’m pretty sure she’s undercharging for her work, so get one now before more people discover her! 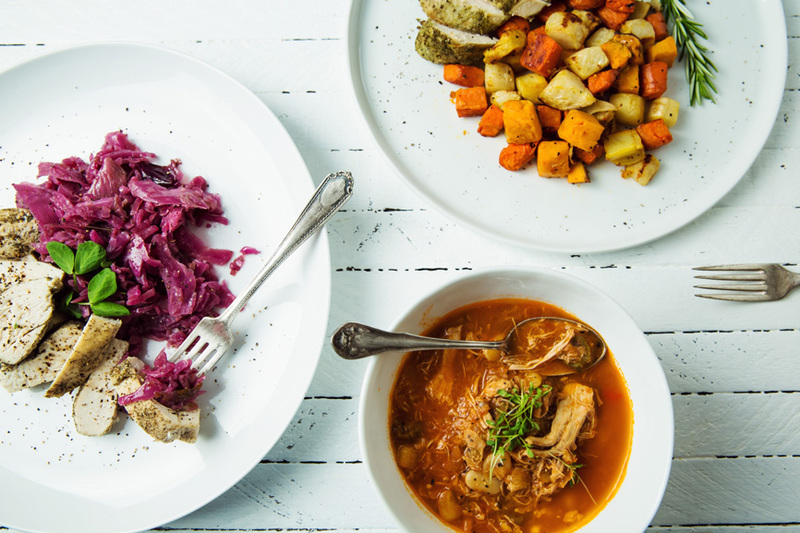 For the busy person in your life who might appreciate some fresh, pre-made, delicious, healthy meals sourced from organic farms and pasture-based meats, check out The Good Kitchen. My lunch is taken care of every day when I’m at the office and I appreciate that it’s one less thing I need to worry about as I’m rushing out the door. The portions are perfect and the quality is a million times better than typical take-out. This is an especially great gift for a single person, so they don’t have to eat the same leftovers day after day. I’m a HUGE fan of theirs. Visit their site and use code SUSTAINABLE for 15% off your order. Herbs and spices are pretty much my go-to gift for anyone, because who can’t use some fresh new additions to their collection? 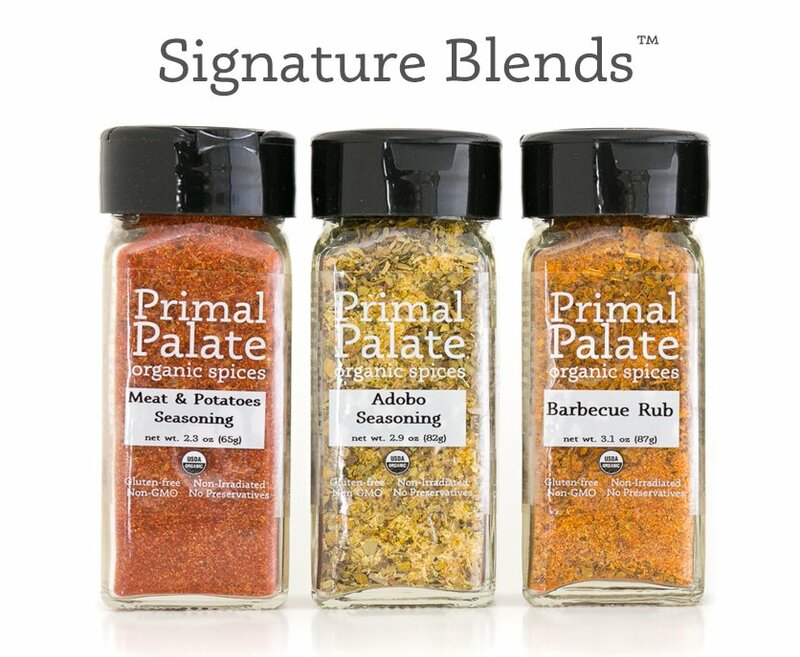 My absolute favorite blend from Primal Palate is their “Meat & Potatoes,” which I use on EVERYTHING. You can create your own 6 or 12-packs to receive a discount, and all products are certified organic. I adore Hu Kitchen’s core values and their chocolate is out of this world. Clean ingredients, fair trade chocolate, and it tastes AMAZING. 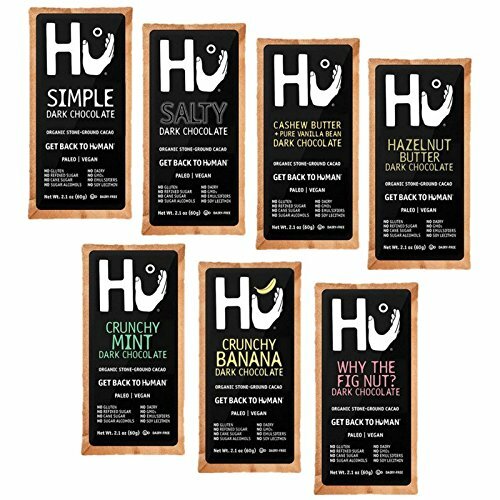 My favorite is the Crunchy Banana Dark Chocolate, but the Hazelnut Butter and Salty Dark Chocolate are also incredible. Ok, all of the flavors are fantastic. I think I’ve only met two people in my life who do NOT like chocolate, so you pretty much can’t go wrong with this gift. 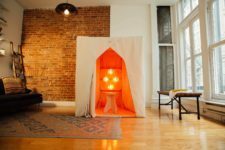 Looking for a cool experience instead of a physical gift? I highly recommend a farm stay. Specifically, I’d like to suggest Belcampo Meat Camp (and you can buy their meat, broth and sausages here). 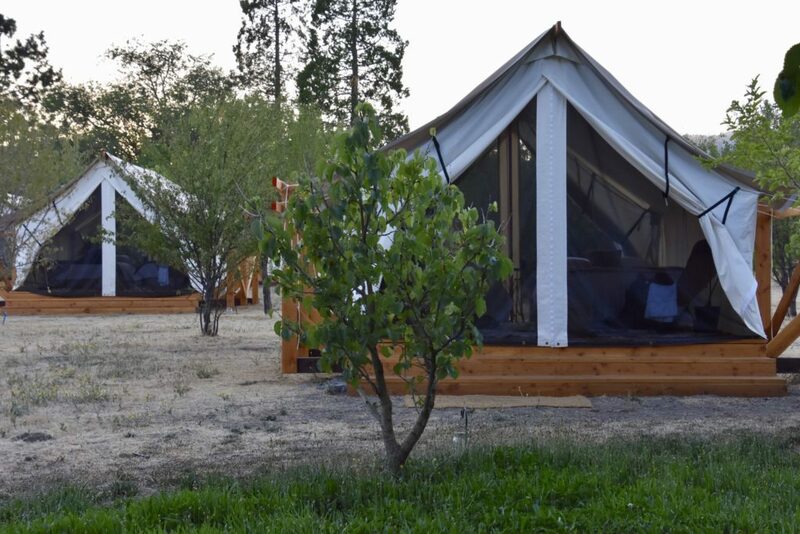 Stay in luxury tents, learn about how to prepare and cook meat over an open flame, and enjoy wine dinners with cool people. Read about my Meat Camp experience here. Another place offering farm “camp” (or attend their mother-daughter weekend) is Five Mary’s Farm. I’ll be posting a podcast with Mary Heffernan soon, and you can check out her captivating Instagram feed here, one of the best feeds out there. It’s only a matter of time before they have their own TV show, so follow their feed and you can say you “knew” them before they became famous! 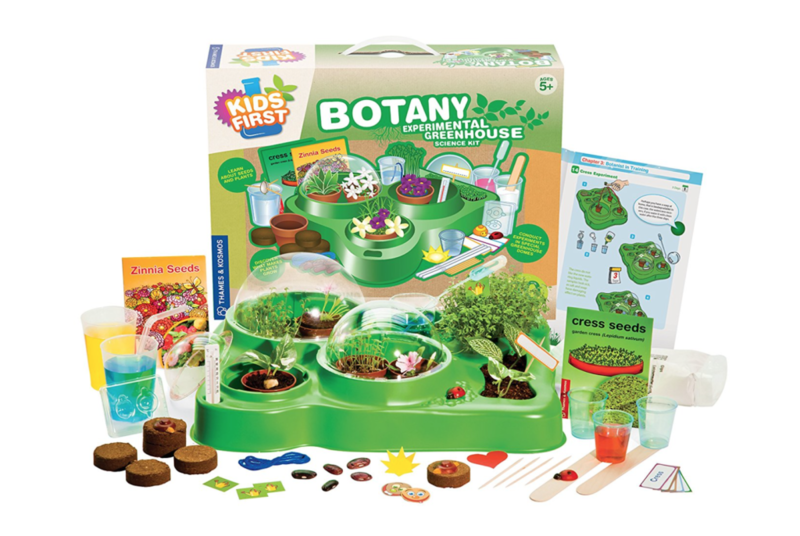 Instead of more screens or toys that will be entertaining for five minutes, consider the Kids First Botany Greenhouse Kit. Teach them about capillary action and how roots work to transport water and nutrients. Kids will learn how plants need water, light, and heat to grow. Finally, there are two organizations that I encourage you to consider giving to this holiday season. The Savory Institute is restoring health to our planet’s grasslands by training farmers and ranchers around the world in regenerative livestock grazing. Grassland restoration offers the greatest oportunity we have to reverse climate change, recharge waterways, rebuild wildlife habitat, and empower rural communities… all the while providing properly-raised and nutrient-dense food to citizens of the world. If you have not yet seen Allan Savory’s viral TED talk, I highly encourage you to do so! Together, we can build a livable planet for ourselves and many generations to come. Please help me reach my fundraising goal of $500 and make a fully tax-deductible donation to the Savory Institute today. For every $30, Savory restores 100 acres. I started a fundraising page just for my followers – help me get to my $500 goal by clicking here! Mira Sunwar (7) holds a family goat at her home in Tleyanpur Village, Nepal on January 24, 2013. Heifer International is a charity that has been around for a while, and has recently expanded their offerings. For the person who “has everything” and would appreciate a contribution in their name, you can choose from a wide range of farm animals (bees, goats, rabbits, a water buffalo) and you can even help someone start a new business or send a girl to school. As for me, I’m pulling my kids out of school for a couple of weeks and taking them surfing in Central America. We’re pretty much opting out of Christmas this year. I’ll be working a bit on a BIG exciting project that I’ll be launching in early December (be sure to sign up for my newsletter to be the first to know!) and posting about our adventures on Instagram. We’ve got crew holding down the fort while we’re gone to care for the animals and make sure our pipes don’t freeze. One day I really hope to be able to spend several months every year down there, my ideal climate. Pura Vida!